Cloud Services in a Month - Presales Open!!! Erick Simpson's Best Books and Training - Now at SMB Books! Coming to you live from the SMB TechFest show in Anaheim, Rich Freeman and Erick Simpson chat about recent research data on server hardware (hint: people are still buying it), the value of taking your clients out to lunch now and then, and Game of Thrones finale predictions from a German AI engine. Partners can expect access to more presales subject matter experts, self-serve options for configuring as-a-service hardware and software contracts, and a steady drumbeat of talk about mobile activations. 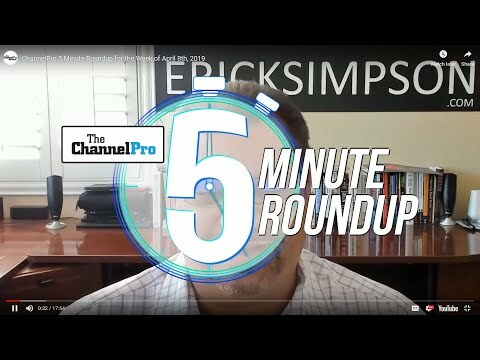 Mere miles apart in Southern California, co-hosts Rich Freeman and Erick Simpson trade thoughts on the new risk assessment solution from ConnectWise, why every channel pro needs a security strategy, and the scary fact that it’s possible for a commercial flight bound for Dusseldorf to end up in Edinburgh instead. Different situations can call for different recovery needs. The Internet of Things, security, and collaboration are among several tech markets with lots of upside, according to Peter Larocque (pictured) and other SYNNEX executives at the company’s latest Varnex community meeting. Broadcasting from separate rooms for the first time in weeks, Erick Simpson and Rich Freeman discuss HP's security-as-a-service launch, the importance for MSPs of nurturing future leaders, and National Caffeine Awareness Month. 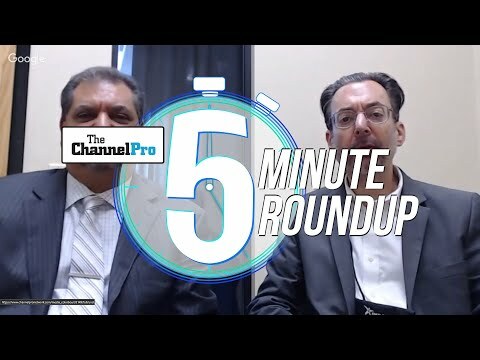 With each issue packed full of powerful news, reviews, analysis, and advice targeting IT channel professionals, ChannelPro-SMB will help you cultivate your SMB customers and run your business more profitably. Building on its multi-year investment to define and provide the next generation of cyber security and systems management solutions, Oracle announced the availability of the industry’s first cloud-native, intelligent security and management suite. This new set of integrated suites—Oracle Identity Security Operations Center (SOC) portfolio of services and Oracle Management Cloud—will help enterprises forecast, reduce, detect, and resolve cybersecurity threats and assist in efforts to remediate application and infrastructure performance issues. By using artificial intelligence to both analyze a unified data set consisting of the full breadth of security and operational telemetry as well as provide automated remediation, Oracle’s integrated suite enables customers to quickly adapt their security and operational posture as their risk landscape changes. This application of machine learning can potentially help thwart attacks, reduce the detection window from months to minutes, and more quickly address security breaches and performance outages. Adaptive, intelligent security and systems management services from Oracle are designed for security and operations professionals. Users will also be able to access analytic conclusions from highly-tuned machine learning—informed by a comprehensive operational and security data set—without any additional work required. In addition, as a service delivered through Oracle Cloud, users can leverage constantly evolving analytic engines based on real-world data. To ensure the machine learning algorithm has quality and breadth of data to deliver actionable insights, Oracle Management Cloud provides a single, unified model that allows for both massive raw data ingest and context-based enrichment, as well as automated remediation capabilities. This makes Oracle Management Cloud the ideal solution for the next-generation, machine learning-enabled security and management enterprise. The foundation of Oracle’s Identity SOC offering is the newly-released Oracle Security Monitoring and Analytics Cloud Service. This provides security incident and event management (SIEM), as well as user and entity behavioral analytics (UEBA), powered by cloud activity monitoring and threat detection from Oracle CASB Cloud Service, identity context from Oracle Identity Cloud Service and the entire breadth of operational telemetry and logs from Oracle Management Cloud. Since the SIEM has access to the entire breadth of security and operational telemetry, customers benefit from a context-aware single pane of glass to secure heterogeneous, public and hybrid cloud environments. Security Monitoring and Analytics Cloud Service is now generally available. The new Oracle Configuration and Compliance Cloud Service is also available, helping customers ensure continuous compliance that’s fully integrated with DevOps and aligned with regulatory environments like the EU’s General Data Protection Regulation (GDPR). To help organizations continue to secure their cloud estates, Oracle has also expanded Oracle CASB Cloud Service threat detection and data protection capabilities. Oracle CASB Cloud Service now offers enhanced data security for both structured and unstructured data with new built-in Data Loss Prevention features, improved threat prevention with new anti-malware and anti-ransomware capabilities, and the ability to share its analytic conclusions across Oracle’s Identity SOC portfolio. Oracle also continues to build on its longstanding leadership in the area of Identity and Access Management, a key part of the Identity SOC portfolio. As part of Oracle’s commitment to drive the identity industry forward, it has become a founding member of IDPro, a professional organization for identity practitioners that reflects their growing importance to security fabric and brings identity on par with security and privacy professional organizations. In addition, Oracle, is working with other industry vendors to drive the OpenID RISC working group to define standards for crowd-sourced risk feeds between major CSPs. Building on the explosive growth and adoption Oracle has seen since Oracle Management Cloud’s introduction in 2015, Oracle has enhanced its offerings with the launch of two new suites and one brand-new service, all of which leverage the adaptive, intelligent and unified platform. The new Oracle Management Cloud suite combines Oracle Management Cloud, Oracle Application Performance Monitoring Service, and Oracle Infrastructure Monitoring Cloud Service. The combination of these two services allows for real-time, proactive monitoring and outage prevention for heterogeneous applications whether deployed across clouds or on-premises, with visibility, diagnostics and remediation from web or mobile end-user down to line of code or SQL. The new Oracle Management Cloud suite includes the Standard Edition services, plus Oracle IT Analytics Cloud Service for estate-wide planning and the new Oracle Orchestration Cloud Service. Oracle Orchestration Cloud Service executes tasks at hyper cloud scale automating any process by calling REST, scripts, or third-party automation frameworks. Oracle Orchestration Cloud Service can apply automation on both on-premises and cloud infrastructure and leverages Oracle Management Cloud’s unified platform for its analytics and decisioning engine. With the new Oracle Orchestration Cloud Service, customers can choose to automate the entire problem identification and resolution process using machine learning. Finally, in the crucial area of log management, Oracle has expanded Oracle Log Analytics Cloud Service to allow organizations to monitor, aggregate and analyze both security and operational logs from a wide variety of on-premises and cloud technologies, ensuring that each customer’s log management effort yields maximum value to both security and operations teams. System Builders and the Trade War—What’s the Real Impact? Join D&H for your chance to win a $100 AMEX gift card. — Join D&H and Win! Channel news and insights delivered to your inbox: Subscribe to ChannelPro e-Newsletters! 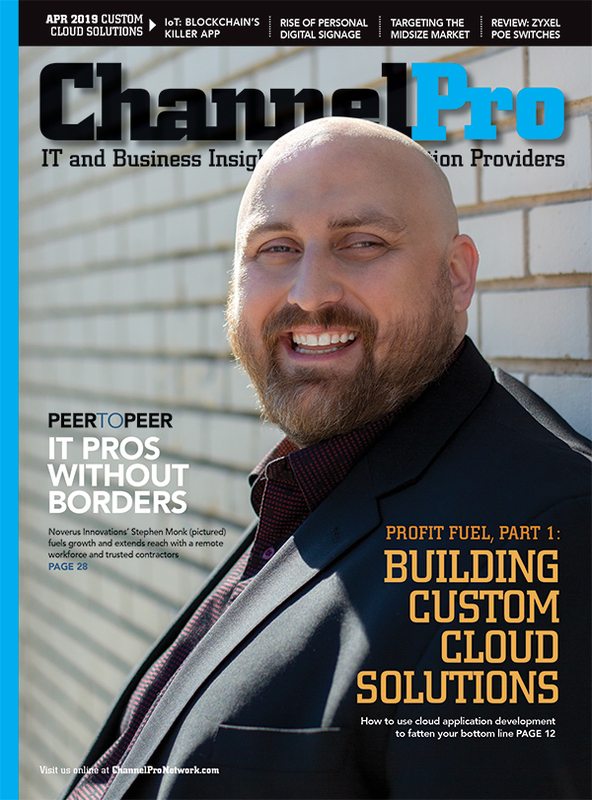 Subscribe Now to the ChannelPro monthly magazine! $0 Per Issue — Because it's FREE to Channel Pros! Copyright ©2018 ChannelPro Network. All rights reserved. All trademarks, logos, and copyrights are property of their respective owners.